CCNP Wireless certification addresses the need for designing, implementing, and operating Cisco Wireless networks and mobility infrastructures. 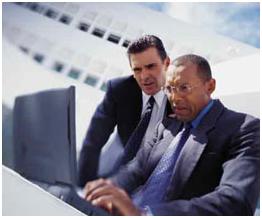 CCNP Wireless certification emphasizes wireless networking principles and theory. It also recognizes the expertise and technical acumen of wireless professionals who can assess and translate network business requirements into technical specifications that in turn, are incorporated into successful installation. Achieving the Cisco CCNP Wireless certification confirms your ability to design, implement, and operate Cisco wireless networks and mobility infrastructures. It also recognizes your expertise in assessing and translating business requirements into technical specifications for successful installations. All of our classes have extensive labs to provide you with world like experiences. Cisco requires re-certification every three years. At the end of three years you must either retake one of the CCNP Exams or a higher level certification. For more information please visit Cisco's recertify page. Exam 642-732 You will examine design strategies, including the Cisco WCS planning tool, Cisco Spectrum Expert, and Ekahau survey tools. Training Time 5 Days for each course Dates and Locations . This exam assesses a candidate's capability to integrate mobility services into the WLAN, to tune and troubleshoot the WLAN, and to implement indoor enterprise mesh networks. You will discover how to integrate mobility services into the network, tune and troubleshoot the WLAN running mobility services, and implement mesh networks. Through hands-on labs, you will gain a thorough understanding of how to implement mobility services in your wireless network. Through hands-on labs, you will learn to secure the wireless network from security threats via appropriate security policies and best practices. You will also examine the proper implementation and configuration of security standards and security components.